World Wetlands Day is celebrated on 2nd February and promotes wetland protection throughout the world. Wendy Sullivan, DOC Project Coordinator, tells us about the current wetlands restoration project occurring in the Canterbury high country. 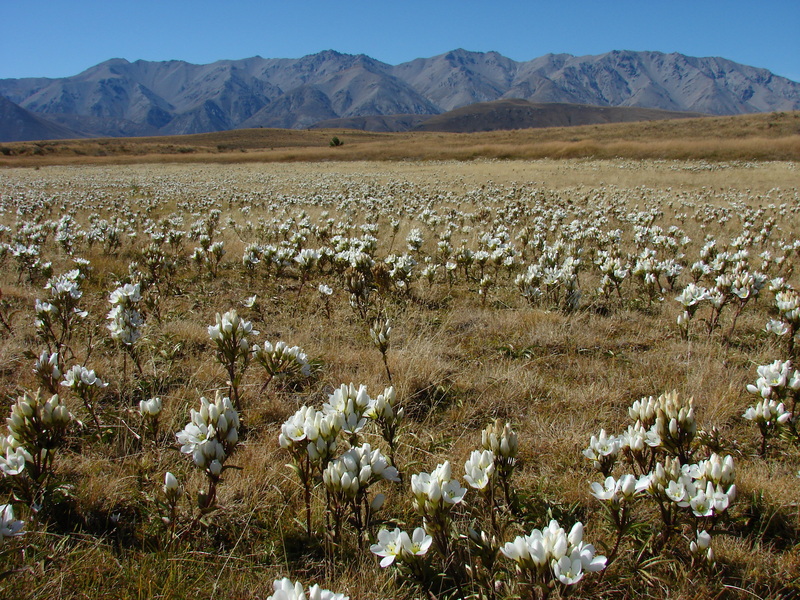 O Tu Wharekai Wetland Restoration Project its situated in the high country of Canterbury. 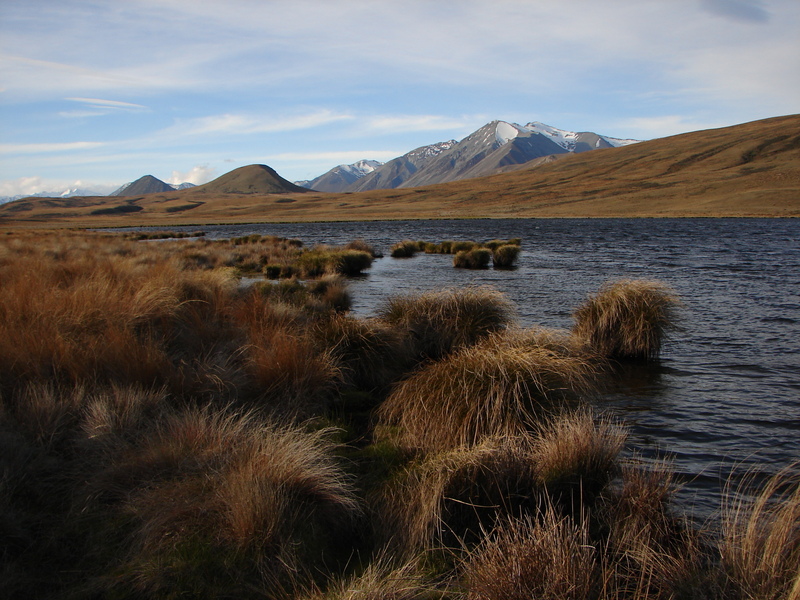 The project is one of the best examples of an inter-montane (between or among mountains) wetland system remaining in New Zealand, and is nationally important for wildlife. It contains a mosaic of diverse wetland habitats nestled amongst high country tussocklands and set against the towering Southern Alps/Kā Tiritiri o te Moana. The project includes the braided upper Rangitata River, and the 12 lakes that make up the Ashburton Lakes, along with ephemeral turfs, streams, swamps and bogs. 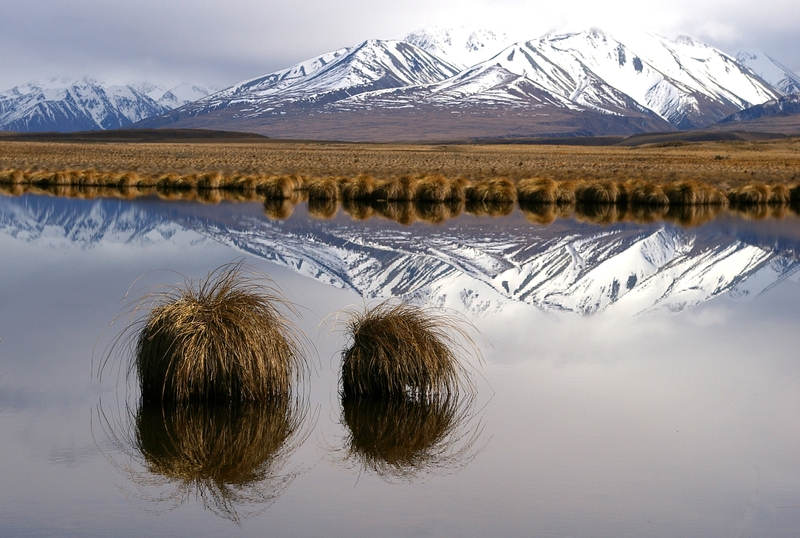 New Zealand has experienced significant loss of wetlands. Over the last 150 years approximately 90% of inland wetlands (swamps, marshes, fens and bogs) have been converted to other land use. Many of New Zealand’s remaining wetlands are also under threat, mostly the result of human activities including nutrient run-off, pest invasions and drainage. O Tu Wharekai is aiming to help stop the decline of wetlands through intensive management of the wetlands, researching and trialling new methodologies and raising awareness of the plight of wetlands. It is one of the three Arawai Kākāriki sites, a national wetland restoration programme. The project has good populations of native and sport fish. Threatened bird species include Australasian bittern, black-fronted tern, wrybill and Australasian crested grebe. There are a number of lizard species including the threatened lizard species scree skink and long-toed skink. The glacial moraines of the high country produce kettleholes which are home to a rare habitat type – ephemeral turfs. Ephemeral turfs are one of the most poorly recognised wetland types. They occur where surface depressions in the land – kettleholes – become ponded with water during wet seasons or wet years, yet are partially or wholly dry at other times. Vegetation consists mainly of herbaceous plants forming a ground-hugging and often dense carpet of intertwined plants. Species present change with changing water levels. They are home to many threatened plant species. While the area is relatively pristine, there are always threats lurking on the doorstep. There is the potential for water abstraction and storage for irrigation and stock water, and degraded water quality due to sediment and nutrient inputs from intensified farming practice. Broom and Russell lupins threaten the braided rivers, while grey and crack willow threaten the hydrology of lakes, streams and swamps by increasing sedimentation. Swamps, bogs and ephemeral turfs can be damaged by vehicles, rabbits and hares and stock. Predators such as ferrets, stoats, weasels, feral cats, hedgehogs and possums threaten birds, lizards and invertebrates. Community involvement is also an important element to the project. 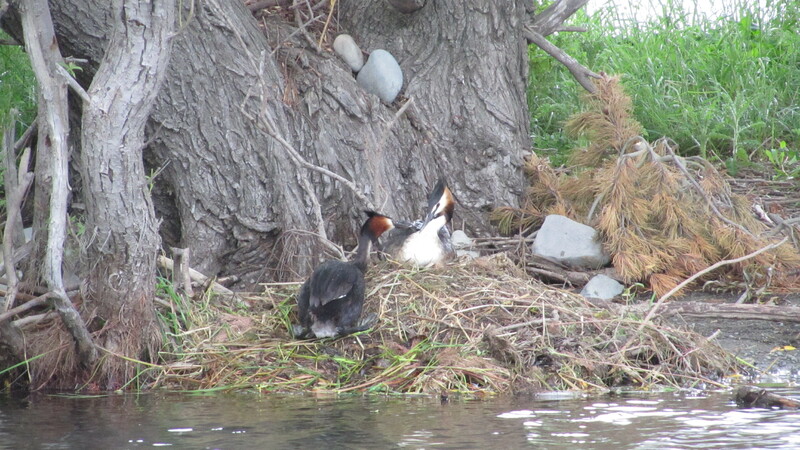 There are a number of groups, businesses and individual assisting with monitoring and management such as weed control, bird monitoring and riparian planting. Further information can be found on the DOC website.